Health – safety – environmental protection: topics that move the OMV. 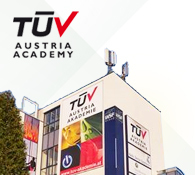 125 employees were recently trained with regard to HSSE at the TÜV AUSTRIA Academy Vienna – knowledge transfer, but also international understanding was at the forefront. Protecting the public, occupational health and safety, plant and system safety and the conservation of resources are the cornerstones of the OMV company policy. In order to maintain these values, safety processes and information structures are put into place, dangers are recognized through risk management and risks are reduced. Data is collected and assessed and flows back into the relevant work areas as a basis for decision making. External clients (contractors) and their staff are also integrated into the safety system. The range of tasks is as varied as the people involved. The logistics chain of complex tasks ranges from energy generation and raw material storage and its transfer right through to processing and preparation for market distribution. The challenge: The defined safety standards must be kept under the most diverse of geographical and geological conditions. In addition, the high safety and environmental requirement must be evaluated constantly. New employees in the area of exploration & production are therefore integrated into the OMV safety measures right from the start, and safety consciousness is consolidated through training in the area of HSSE (health, safety, security, environment). The training which is carried out at an international level serves the specialist exchange of information in a large company, and incidentally, is also unifying. This is highlighted by the courses at the TÜV AUSTRIA Academy – parallel courses were organized because of the large number of participants, colorfully mixing all participating nations and so uniting the most diverse of national points of view; staff from Romania and Kazakhstan through to Norway and Great Britain learn side-by-side how safety can be strengthened in their work area, how to promote the health of all and how the well-being of nature can be protected.